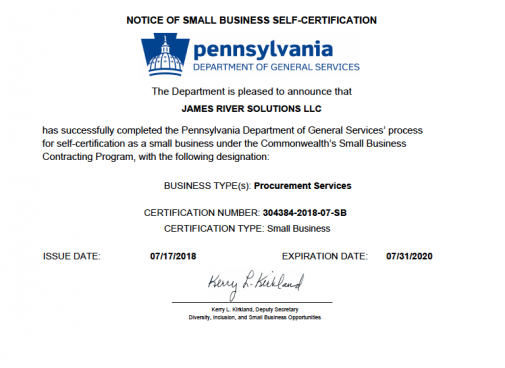 With more than three decades of fuel management experience, our government specific company JRS Energy, fully understands the specific issues related to overnight government fuel supply. Whether we’re managing solutions to fixed budgets, or delivering reliable emergency support for first responders, we stand ready to perform up to your standards and beyond. 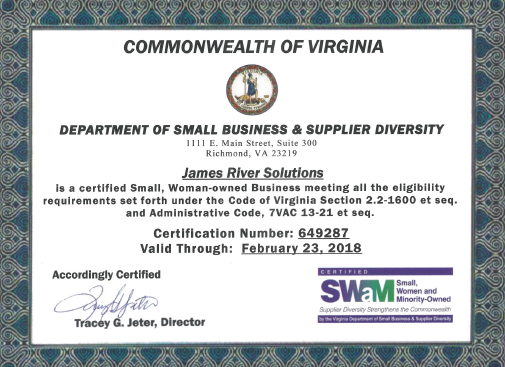 You can trust our government division, James River Solutions for easy access to services, reliable support, and innovative technologies. 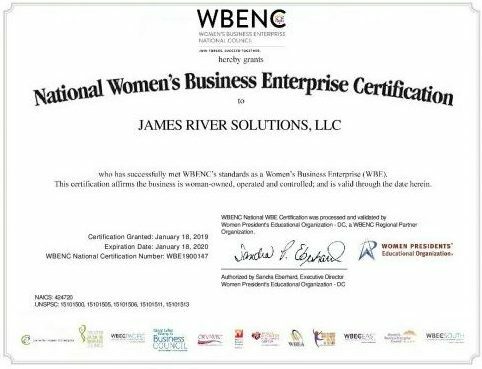 James River Solutions is a WBENC certified, woman-owned fuel vendor with the experience advise and save you money.